Dense and sweet, with a distinct taste of coffee in the style of Kahlua, our Kafe premix base is used in many notable liqueur cocktails, including The B-52, Mudslide and Black Russian. It’s also enjoyed in cold cream, milk or mixed with hot coffee. 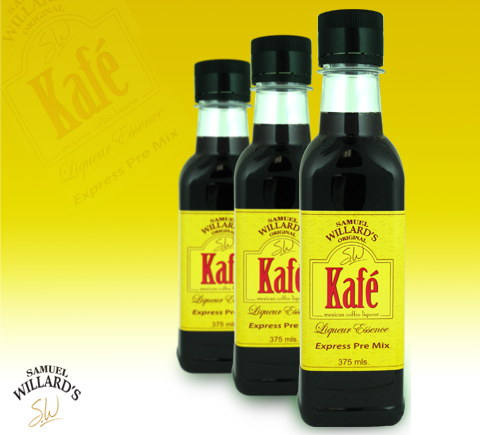 Samuel Willard’s Kafe liqueur pre-mixed base essence produces 1125mL of spirit from each 375mL bottle.